Arcadian Shores Golf Club is set to re-open as soon as next week (September 11th) after extensive renovations to the first solo design from Rees Jones, since opening the doors back some 40 plus years ago in 1974. Included in the renovations is a new clubhouse, new greens and new cart paths. The General Manager of Arcadian Shores, Frank Coughlin told the Sun News that they. Are very excited and thankful for the opportunity and is ready to show off the changes to the public. They feel like the course has so much potential as the “baby” of Rees Jones after breaking from the firm with his father, Robert Trent Jones. The name Robert Trent Jones will sound familiar to many of you as the designer of a legendary Myrtle Beach golf course: The Dunes Golf and Beach Club. Back in 1974, shortly after opening, Arcadian Shores Golf Club was named one of the top 100 courses by Golf Digest. The Myrtle Beach golf course closed back in May, and the course superintendent, Eric Covelli, oversaw the work that was done. Rees Jones is known as “The Open Doctor” due to his work in preparing courses to host US Opens. He has built or remodeled over 150 designs. 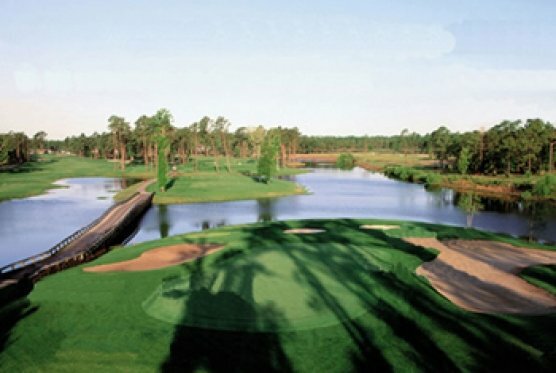 At one point, Jones had 5 layouts along the Grand Strand – Arcadian Shores and The Jones Course at Sea Trail Resort are the only two that remain open. Gator Hole, Wild Wing Plantation Falcon Course and Belle Terre have either closed or are being re-developed. The work over the summer included changing the greens from a form of Bermudagrass to Ultradwarf Bermuda, with the collars being Latitude Bermuda. New green irrigation systems were installed. The cart paths were re paved. Bunkers were edged. New golf carts and maintenance equipment has been leased. Even the entrance and parking lot has been re-paved and expanded. Even the clubhouse has gotten attention during the renovation. New TV’s, bar, and bar top are just a few of the changes, and they aren’t done. Look for more options on the menu including healthier selections in the near future. With this new improvements, comes a higher price tag for a round of golf at Arcadian Shores. Although we don’t know the exact figure at this point, they will still have a local rate as they have indicated that local play is a big part of the culture that they wish to maintain. Expect a grand reopening celebration in the near future. Rees Jones is very keen to being a part of renovation projects still to come at the Myrtle Beach golf course. His main study would be of the bunkers, specifically going back to the bunkers of old, which he calls “spectacular”.